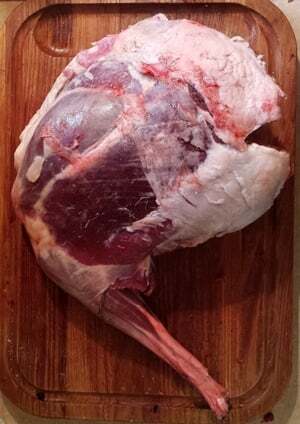 This venison roast is typical of Roman meats: Sweet, salty, herby. Since this dish is essentially a roast with sauce, I'd serve it with polenta or mashed potatoes. Too New World for you? Then eat it with farro. Just substitute farro for rice in your favorite risotto recipe. Salt venison roast about 12 hours. Take it out of the fridge 30 minutes before cooking. Preheat oven to 325°F. In a pan, add olive oil, then brown venison on all sides. When browned, place in an ovenproof roasting pan in oven. Cook for about 30 minutes, then check internal temperature. You are looking for about 140°F. This could take as long as 90 minutes, but after the first half-hour, check every 15 minutes. Different shapes of a roast cook at different rates, so this is why I am suggesting the constant checking. In a mortar and pestle, mash all the herbs together with the garlic and a pinch of salt until it's a paste. Once the roast is done, let it rest and tent it under foil. Add flour to pan to make a roux. Stir and cook over medium heat until its tan-to-brown. Add onion and cook it until it's translucent. Add sweet wine to deglaze, let this reduce over high heat by half. Reduce heat to medium, add fish sauce, honey, then the herb-garlic mixture. The sauce should be thicker than water, thinner than syrup. Think turkey gravy. Taste to adjust for seasoning; fish sauce is very salty, so you will probably not need more salt. Slice the roast thinly, lay down sauce, and serve. Kimberly: You’ll be OK, but it’s not ideal. Every time you thaw frozen meat you damage the cells, which leak fluid. So doing it twice really hammers the meat, and can make it dry. 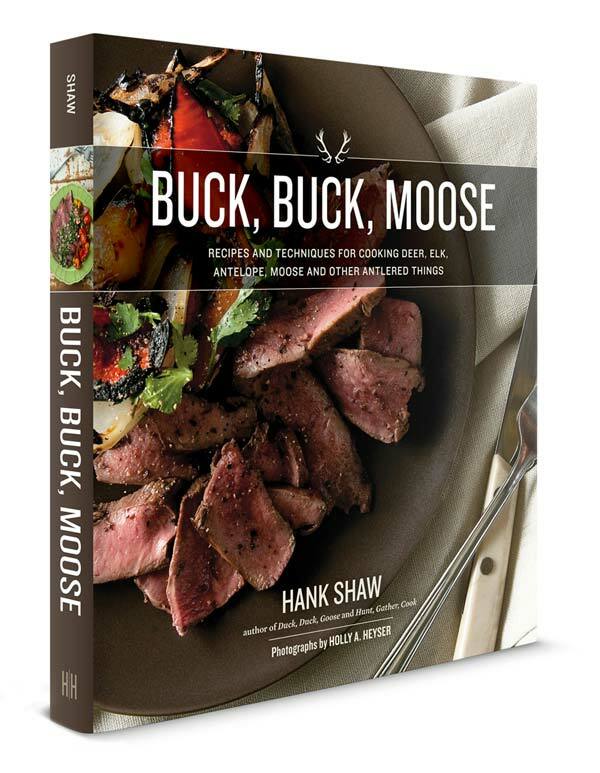 But with shanks, you are cooking it in moist heat anyway, so you will be OK. Don’t ever do it with backstrap. I added a handful of minced prunes along with the fish sauce and honey with great results. Did you have a picture of it finished?